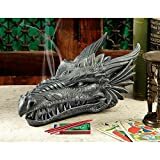 This Fire Breathing Dragon Incense Holder & Burner is awesomely finished and detailed and performs equally well as a decorative show piece in your home and of course as an incense burner guaranteed to stimulate conversation! 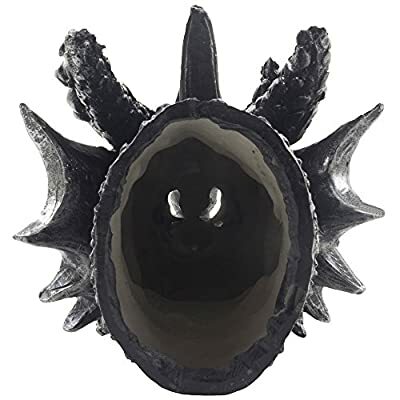 It can be used with sticks or cones and is a superb piece of gothic home decor, appealing to all those with a love of medieval fantasy! Guest will be in awe as they witness the smoke rolling out of the nose...like a real fire-breathing dragon! After you are done, put the top back on to enjoy the dark mystique of this medieval décor accent. 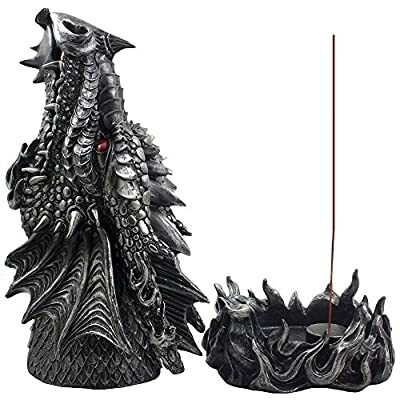 Two piece set includes the sculptured dragon head statue that fits securely on the display stand of flames that serves as the incense burner / holder. This incredible fire breathing dragon holds a special secret! 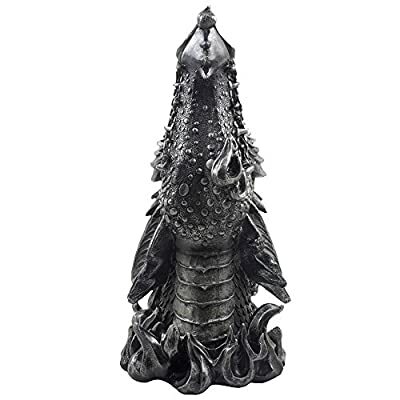 Lift the top of this mythical dragon's finely detailed metallic look head, to reveal an incense holder that will help you fill the room with your favorite magical aroma. Dimensions: 6 3/4" x 5 7/8" x 11 3/4" high. Weight: 3.0 lbs. Individually hand-crafted from cold cast resin. 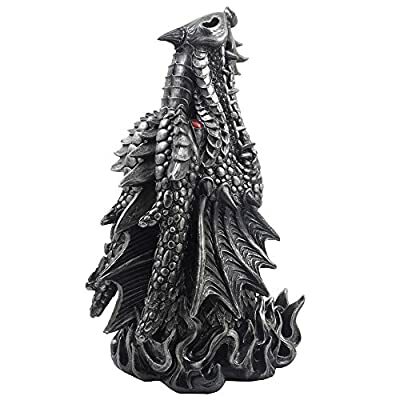 Please note that because our polyresin products are individually hand-crafted works of art, colors may vary slightly from what is pictured here. Packaged in a decorative gift box. 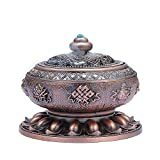 Incense not included. 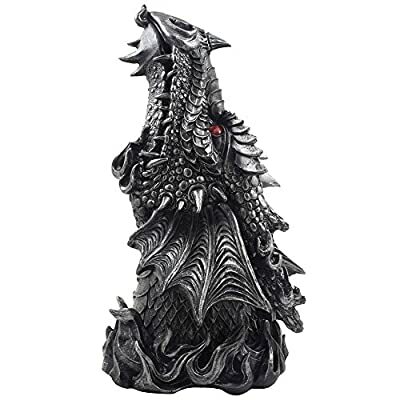 Please ensure that the head is actually placed on in the right way or it can affect the burning of the incense and also the stability of the dragon piece! 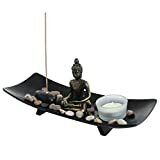 Also, keep the incense sticking straight up to also benefit air flow and burning of the incense. Enjoy the red eyes of this dragon that actually seem to glow! 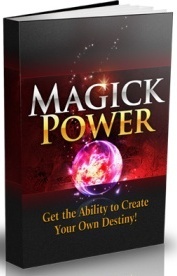 Discover Your True Abilities Using This Secret Ancient Code And Enjoy A "Second Chance At Life"...WITHOUT Leaving Home! Take a look today by clicking below! RealSpellsOfMagic.com is a participant in the Amazon Services LLC Associates Program, an affiliate advertising program designed to provide a means for sites to earn advertising fees by advertising and linking to Amazon.com, Endless.com, MYHABIT.com, SmallParts.com, or AmazonWireless.com. Amazon, the Amazon logo, AmazonSupply, and the AmazonSupply logo are trademarks of Amazon.com, Inc. or its affiliates. RealSpellsOfMagic.com Copyright © 2019. All rights reserved. Powered by Fresh Labs - Try It Yourself Here!